News Flash...Piri is pregnant, due mid September 2017. 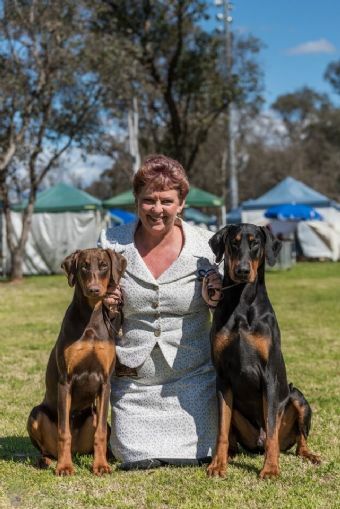 Expressions of interest are now being taken. Piri is Wattavue's first "brown" so it is taking a little to get used to. However, Piri is an absolute delight and we cant imagine life without her. She has a quirky personality and is extremely affectionate. She never fails to entertain us with her extremely unusual antics. There is certainly never a dull moment with Piri around. 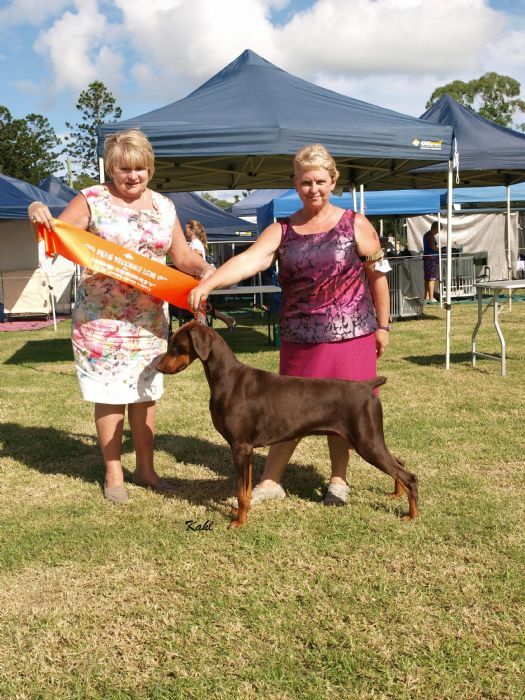 Thank you to Jan Read of Derringer Dobermanns (NZ) for allowing Piri to become an Aussie girl. 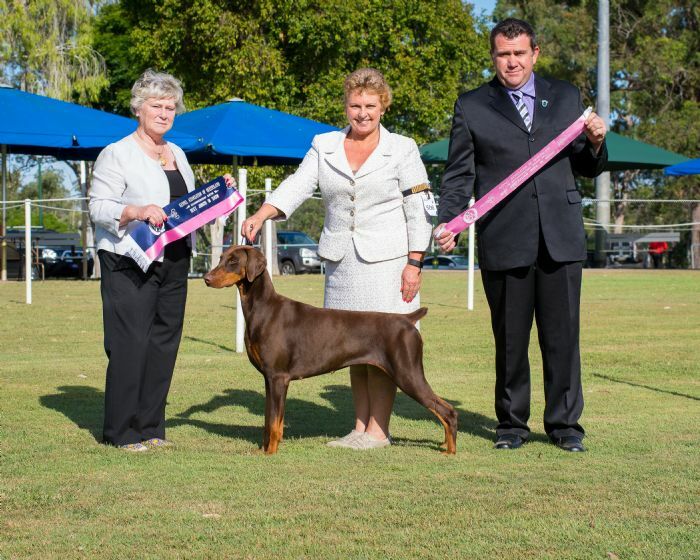 Piri has taken the show ring in her stride and already has multiple "Class in Show & Class in Group" awards to her credit. Motherhood truly agreed with Piri as she did an amazing job raising her first litter and she is now going to be a mother again.